How can I see past stock levels and stock value? View point in time or stock levels and values for previous dates. Reports > Inventory KPIs > Total > Details will show stock levels and value for any date since starting your Inventory Planner account. Note that historical stock information is available starting when your Inventory Planner account was made. To see historic stock levels and stock cost value, go to Reports > Inventory KPIs . 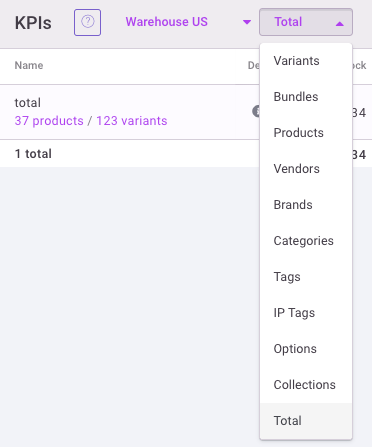 To view stock levels and cost value for your entire store, click on Total. 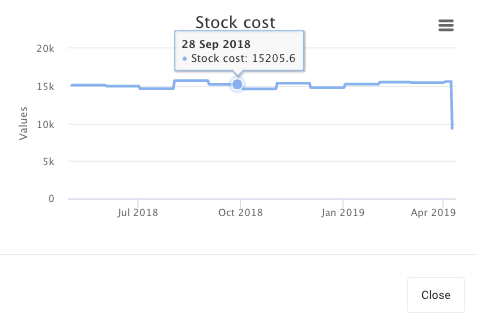 Change the date range for the report to include dates where you would like to see the stock levels and cost value. Then click on the Details icon. View the Stock & Sales History tab to see Stock and Stock Cost. Hover over the chart to see the value on a particular date. 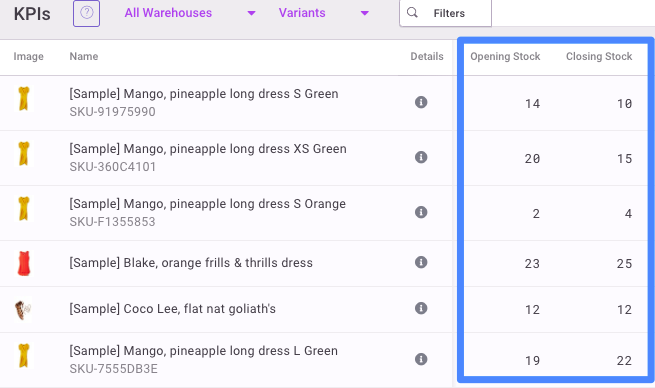 If you would like to see stock levels on your Replenishment or Inventory KPI pages, add columns for starting and ending stock. Select the date range for when you would like to see beginning and ending stock. Click on the gear icon to show column options. 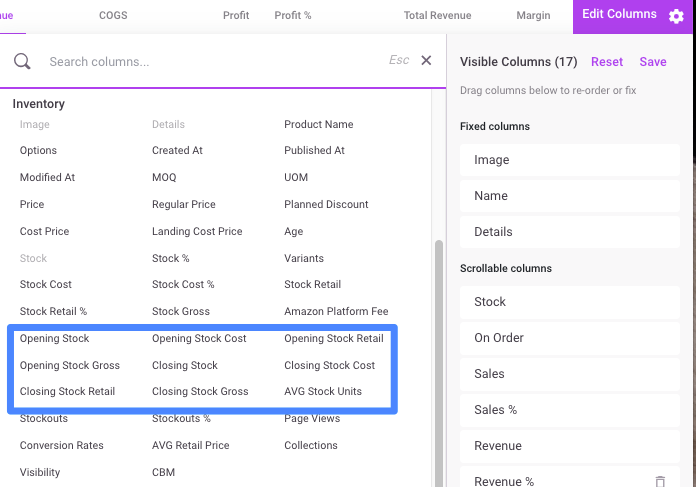 Select Opening Stock and Closing Stock to add them to your report. Opening and Closing Stock will show inventory levels. 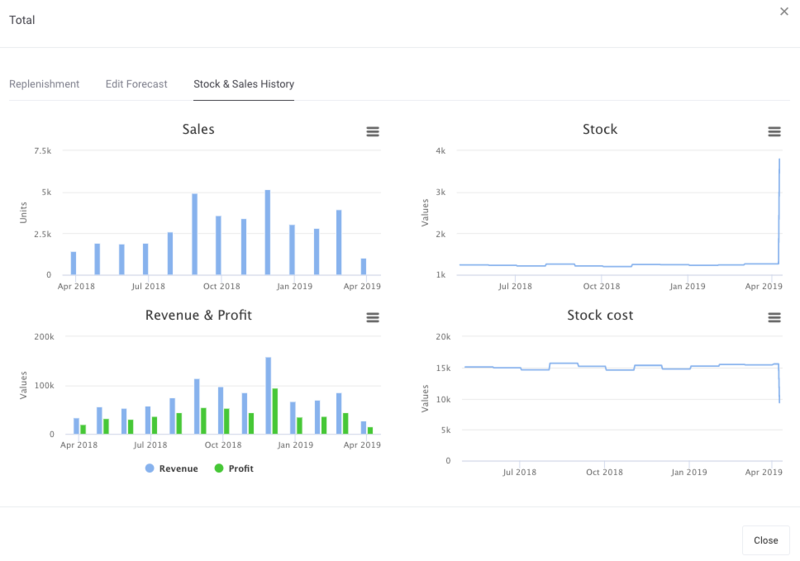 Opening and Closing Stock Cost, Retail and Gross can be added to show financial information. 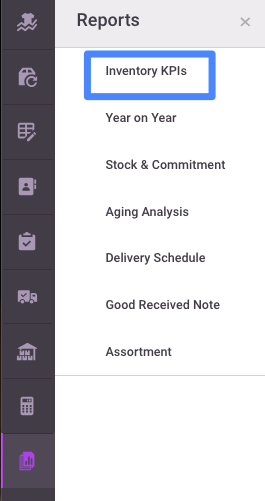 Note that the Stock column will always show your inventory level as of the most recent sync, regardless of the dates of your report. Click the gear icon to collapse column options and you will see these values in your report.